In September of 2017, my good friend Larry Lindahl and I will be doing a very special workshop to some of the most scenic and iconic locations of the Southwest. 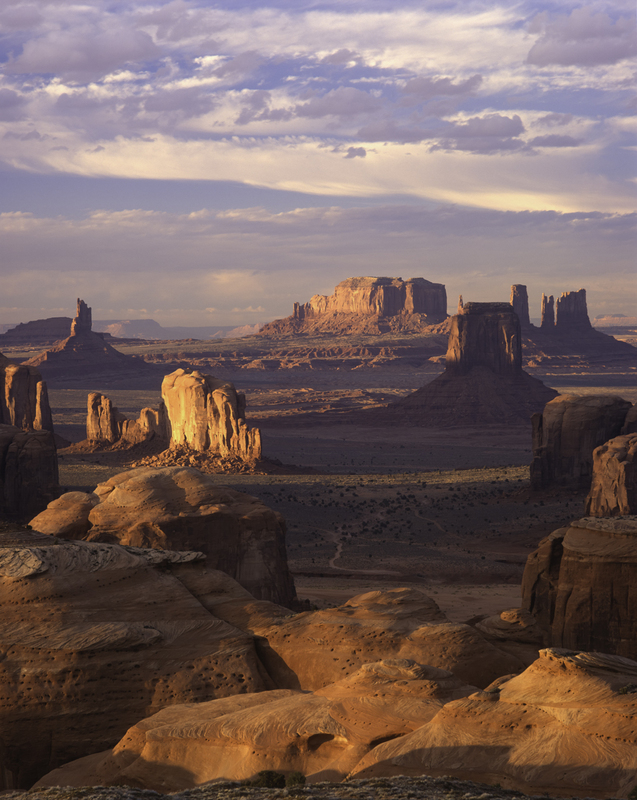 We wanted to have a workshop that included some of the best spots to photograph in Arizona and the Four Corners region. We both worked hard on trying to create an itinerary that included the least amount of travel but afford the most amount of photo opportunities. 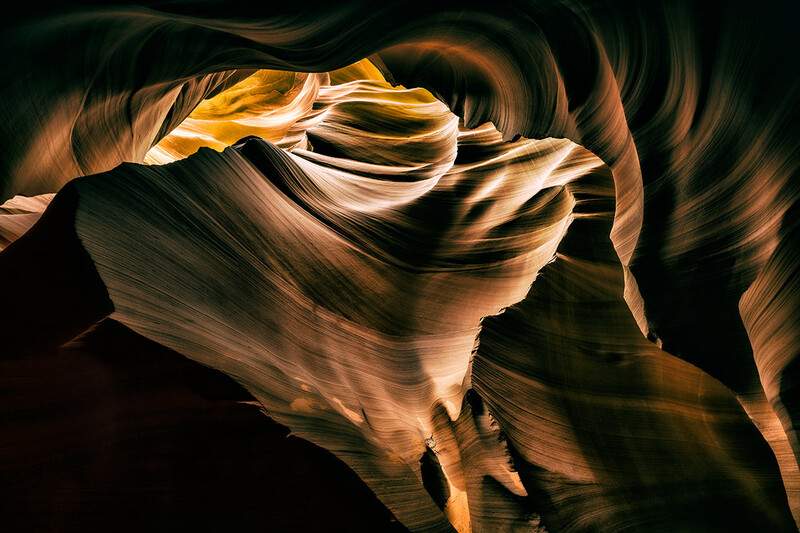 We will start off first in Sedona, where Larry and I both live and then the next morning head up to the town of Page, Arizona where we will be capturing the mystique and beauty of the slot canyons of Lower Antelope Canyon. 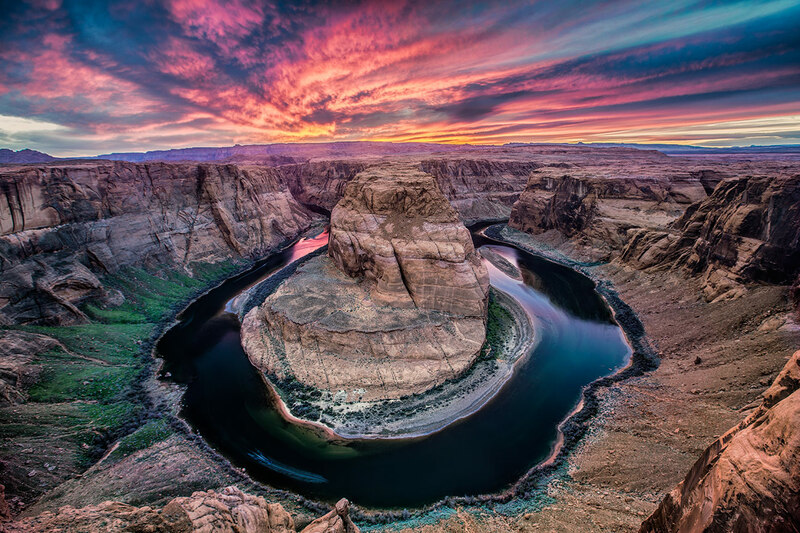 We will also shoot sunset at the very unique and spectacular Horseshoe Bend from a high vantage point with the winding Colorado River flowing through it. 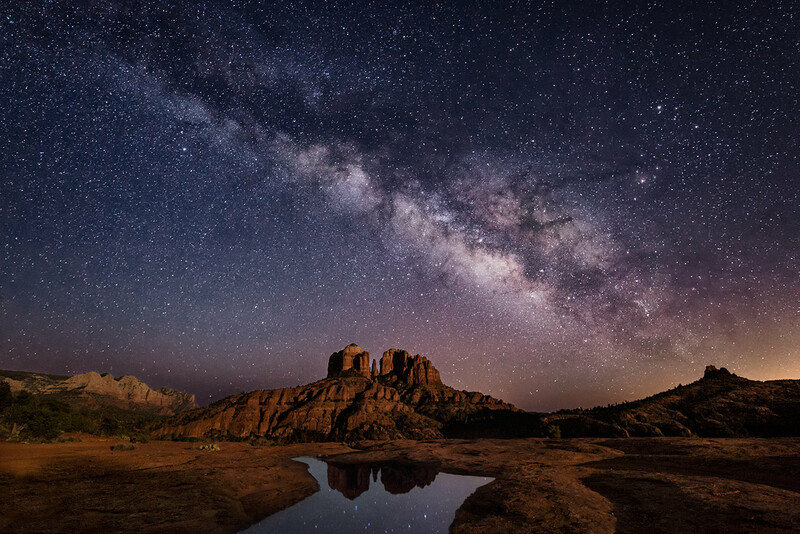 After the sun goes down, we will scout out great night photography locations and capture the night sky and Milky Way, which we will be doing throughout the entire workshop. After shooting in Page, we will head off to the one and only Monument Valley to capture some of the best that this unique place has to offer. Our hotel is The View Hotel, which has stunning panorama views of Monument Valley from every room and is the envy of all other hotels there. On our first day, we will capture the iconic long straight highway used in the movie Forrest Gump and shoot the world renowned Mittens of Monument Valley at sunset. The next morning for sunrise, we will photograph he rippling orange sand dunes of Totem Pole & Y’ei Bi Chei. After lunch we will depart by 4 x4 jeeps for an incredible 4 wheel drive journey to the amazing vistas of Hunts Mesa. We will camp out under the stars and have a home cooked barbecue over a fire prepared for us by our guide and sleep in tents by our campfire. This will also be another great spot for shooting the night sky and learning new techniques for capturing the stars, star trails & Milky Way. At sunrise, we will photograph Hunts Mesa again & possibly Spider Web Arch before heading back to our cars and saying goodbye to this special place. 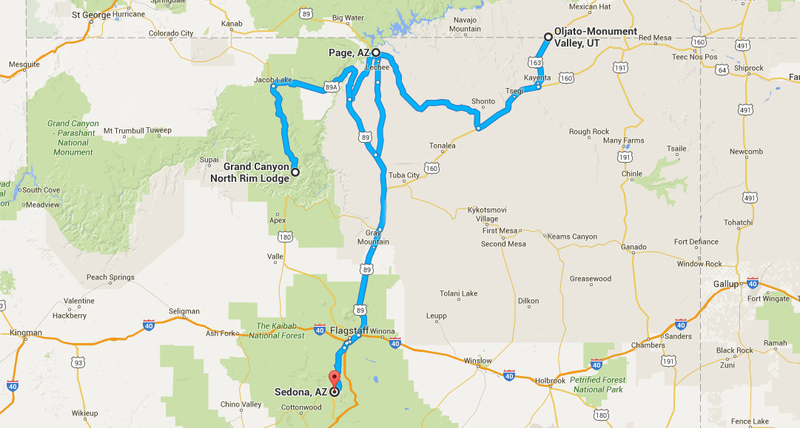 We will be back on the road for our final destination of the North Rim of the Grand Canyon. 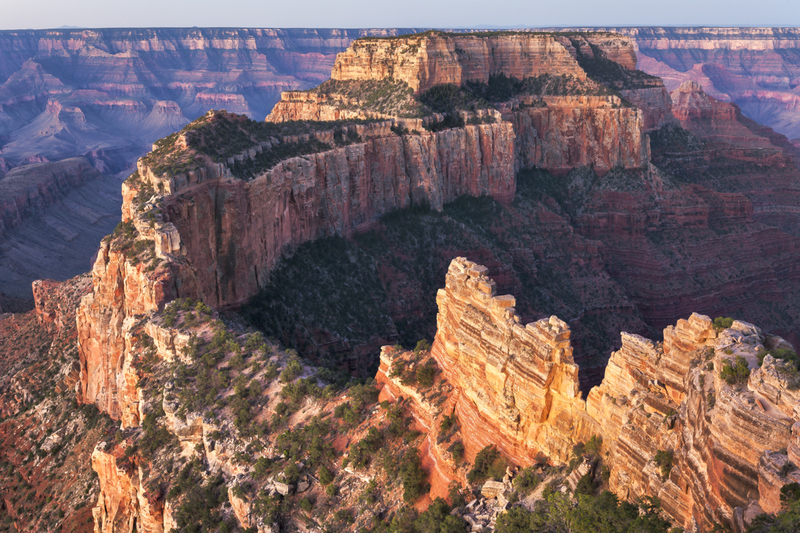 The North Rim has far fewer visitors but offers a unique perspective of this enormous Wonder of the World. We will stay at the historic Grand Canyon Lodge which overlooks the North Rim and has classic views of the canyon. We can shoot classic landscapes from different locations along the North Rim and after sunset, capture the night sky night. In the morning we finish up the workshop with some powerful sunrise shots of the Grand Canyon before heading home. 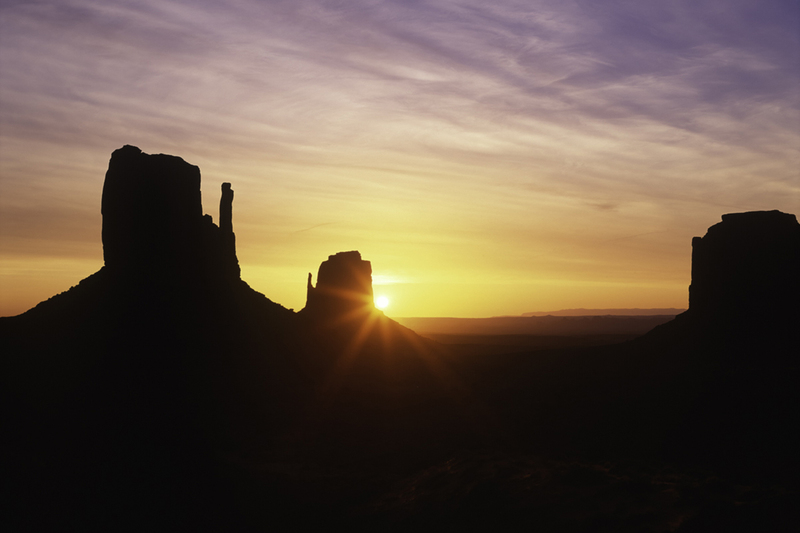 This promises to be one of the best Southwest photography itineraries imaginable. Larry and I will be helping everyone day and night, to push themselves to a higher level and come home with one of a kind images. We will be working individually with each person in the field each day, pushing you to master your camera and settings for every kind of situation. We will go over all kinds of camera gear from panorama heads to ND filters and everything else that is essential for this kind of photography and have at least one classroom session. Another key aspect of this workshop will be learning some of the best phone apps for photography to help raise your understanding of many aspects of photography. We have also planned the workshop to coincide with no moonlight so we will have totally dark skies for shooting the stars over the Southwest landscape. We will lightpaint when we can, working in complete darkness with our headlamps and flashlights. We will also learn how to do multiple exposures combining twilight and after dark to make extremely powerful images. We will focus on different methods of capturing the Milky Way, which we love to capture after dark. We hope to have great clouds at times and clear star filled nights along with tons of fun! The workshop begins at 3:00 pm on Monday, September 18th, 2017 and ends on Saturday, September 22nd, 2017 after arriving back to Sedona in the early afternoon. This will allow people ample time to fly or drive home, or for those that want spend one last night in Sedona, we can also go out for a last sunset and night shoot. 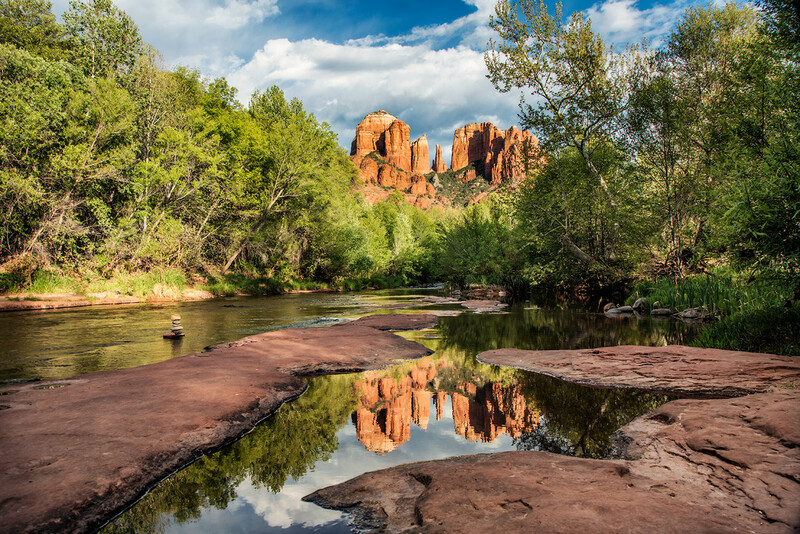 Sedona is located about 2 hours north of Phoenix with the nearest airport being Phoenix Sky Harbor and is an easy drive to the town of Sedona. There are many car rental places at Sky Harbor Airport to rent a car for the drive to the hotel in Sedona with plenty of discounts online, too. You can also share a rental car with someone else from the workshop and we can work with everyone on this too. Please email us here for a registration form if you want to save a space for this workshop. The workshop is limited to 10 participants. Basic understanding of your camera operations including using f/stops and shutter speed is needed for this workshop. This workshop is for the intermediate to advanced photographer wanting to master sunrise & sunset light, night photography and composition and camera technique. Outdoor photography workshops require a moderate level of fitness for many aspects of these kind of adventures. There is hiking on uneven terrain and climbing ladders in Antelope Canyon while also carrying your camera backpack much of the time. We will also stress safety in all locations and pay attention to any adverse weather or other conditions that can arise. Please make sure that you are physically fit and comfortable in this kind of environment including the ability sleep in sleeping bags and a tent outdoors. Since space is limited in our vehicles and especially our 4X4 jeeps, carry-on size luggage is essential for everyone as larger luggage will not work for this particular workshop. You will be responsible for bringing the right size luggage or you will have to leave gear and clothes behind in Sedona. 1. To register for the Stunning Landscapes of the Southwest workshop, fill out the registration form and mail to the address listed. For more information or to get the registration form, please contact us here. After registration, we will send out a detailed letter with lots of info on the workshop and also what to bring. 2. Next, contact the hotel where you want to make your room reservations in Sedona. We can give you a list of hotels in different price ranges here in Sedona as we are familiar with many of them! If you want to stay one extra day when we are back from the Grand Canyon, you can make an additional reservation for your las t night here.